Spain is a predominantly Catholic country – regardless of whether people try to say it has become more secular (acceding to the Spanish statistics office 92% of the population have been baptised Catholic). And as in other mediterranean countries (Italy, Portugal and Malta) the Holy Week is the focal point of the church calendar. 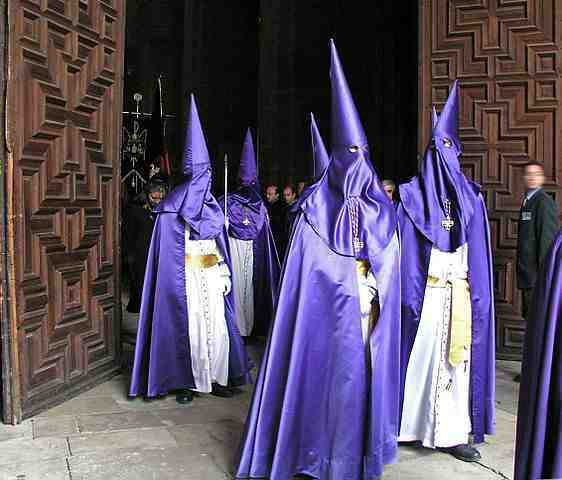 All over Spain you will find processions taking place, from small villages to large cities like Madrid. Starting with Palm Sunday and going through to Holy Thursday, Good Friday and Easter Weekend, you will find these processions heading out from many churches in the centre of the capital. 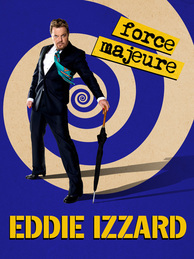 Internationally known Comedian Eddie Izzard will have played some of the biggest rooms all over the world by the time he arrives in Madrid for 6 of the most exclusive dates of the entire mammoth Force Majeure World Tour. He is the first ever Stand Up Comedian to have performed the Hollywood Bowl and is more often than not to be found in Arenas and other huge venues such as New York’s Madison Square Garden and London’s O2 Arena, so with just 100 seats a night these truly are special gigs , they are on a 1st come 1st served basis from the purchasing to the seating and we expect the to sell fast! Tickets can be bought (if you’re lucky) from this website. I’d also recommend you check out this interview by English journalist Simon Hunter with Eddie Izzard on El País. This looks like it could be fun. We have all seen (I assume) the films of Charlie Chaplin on tv – or possibly at the cinema. 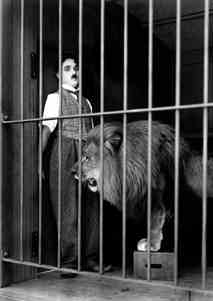 But how about watching one of his films – The Circus – at the theatre and with the Orquesta de la Comunidad de Madrid providing the score? Well, this is the treat film-goers are in for if they visit the Teatro de la Zarzuela on April 22nd (8.00pm). More details can be found on the Teatro de La Zarzuela website. After two and a half years and with the help of over 1,200 architects, carpenters, electricians, builders and other professionals, the Archaeological Museum of Spain opens its doors on April 1st, 2014. The refurbishment actually began in 2008 and has cost over 60 million Euros. In total 13,000 pieces of archaeology from Prehistory, Greece, Egypt and the Near East, Hispano-Roman, Middle Ages and the Modern Age will be on display to the public. 50 audiovisual screens, maps, illustration and touchscreen points will offer a state-of-the-art experience for visitors. The Cava Baja in Madrid is one of my favourite ‘night-time’ streets. It is full of great little bars and restaurants and has a lot of character. The street is one of the oldest in Madrid, in the La Latina area and was known in the past as the pony in Madrid where post entered the city and where muleteers brought in coffee, hay, coal, wheat and much more. 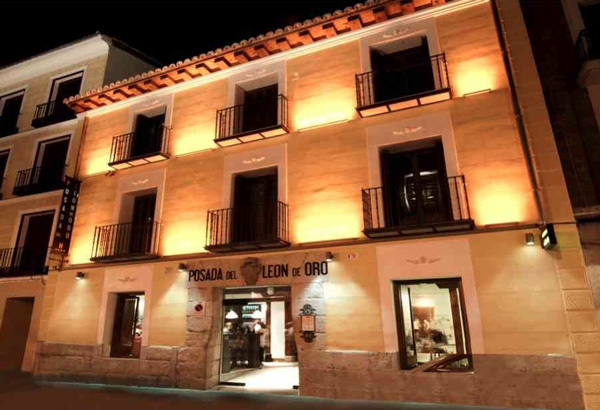 The street has quite a few posadas and one I particularly like is the Posada del León de Oro. This place was totally refurbished in 2010 and the building itself dates from the 19th century. It houses a smart hotel, restaurant and bar (I have never stayed here but the bedrooms look fabulous). On entering the place it is well worth having a hick look around – notice the how the balconies look down on the restaurant and the glass floor displaying the old walls and an assortment of wine bottles! Head over to the bar and view the wines that you can buy by the glass from all over Spain. Whatever your favourite Spanish tipple, you will probably find your needs catered to in here. Like much of Cava Baja it is also an ideal place to order some ‘raciones’ to share with friends or family. I would definitely recommend the croquets – they are delicious. How About Lunch at the Home of the Galácticos? Last year my son and I went for lunch with a very good friend of mine to the Real Café Bernabéu. It was actually the day that Real Madrid played Manchester United at home and, luckily, we managed to get a table. If you like your football, then you’ll love this place – the chance to have lunch overlooking the Real Madrid football ground. The café is situated behind the goals of the great ground and all of the tables offer good views out over the stadium. If you’re lucky enough, you can even bag a window seat. The food good and the price is reasonable (given the location). For 19.90 Euros you can enjoy elect your plate of choice from the starter, main and dessert and each day they change the menu selection (I suppose this is standard for most menús del día). The kids menu is 11 Euros. If you are in the area, you may want to consider doing a tour of the stadium before heading off for lunch. Here’s a copy of their latest menu (March 2014). You’ll notice that the menú del día is in the top left but you can select a variety of starters, main and desserts. >Rosa Jiménez Cano has lived in Madrid since she was a child. She lived in Coslada, a neighbourhood of Madrid, until she finshed Secondary School but once she started university she discovered that "I just slept in Coslada… But I lived in Madrid, the city I love. Right now, I’m moving to a new flat in Tablas de Montecarmelo in the north of the city." Rosa works as a journalist in El Pais, although she is also known as a blogger. Her interests are reading, internet, photos, travelling, and journalism, and she maintains and co-writes for a number of sites: Les Cent Jours, Periodismo Ciudadano, Ahora Bolivia… With a friendo Paco Polo she has just published a book about blogs, called "La Gran Guía de los Blogs 2008". Rosa intends to make this a yearly edition, telling people what has happened in the blogosphere every year and explaining who’s who in, as she puts it "the tiny but pretty world." What is your favourite bar/Café? La Bardemcilla en Chueca, it’s a great place to stay and chat with friends. Tapas has a "home made" taste difficult to find. What is your favourite dish? A kind of little beans called "Carillas" but just my granma’s secret recipe. 😉 I don’t any restaurant that cooks them. It’s a shame. What is your favourite tapas? Bravas, and they’re always a surprise. It depends on the bar you can find a different style. I love them. What is your favourite restaurant? Picanha,they hace just five or six different dishes, but all them, specially meat picanha tastes so natural and high quality. The service is reakky kind. All them are from Brazil. What is your favourite shop? Well, more than a shop is a megastore: fnac. But I’m sure it has to be banned. I do always fall and buy a gadget I don’t need there. What is your favourite season? Summer. Definitely, summer in Madrid is great. You have the best of the city with places to leave your car, open air cinema and loads of "terrazas" to have a drink with friends. What is your favourite barrio? Centro. I love walking in the city. Well, my best friends live between Moncloa and Chamberí, so, i go there very often. What is your favourite building? The "Metropolis" one, between Gran Vía and Calle Alcalá. A perfect ‘night out’ in Madrid would ….be any night, you never know what it’s going to happen. What is your favourite walk? From Atocha to Cibeles, and the all gran vía until Callao. Then Puerta del Sol, and a final walk to Plaza Mayor. What is your favourite Spanish-related book? La Tesis de Nancy, by Ramón J. Sender, funny and wel written. It’s about a young English girl who comes to study in Franco’s Spain. She finds lots of cultural changes. Best Day Trip: Mmm, really difficult to answer. Toledo or Salamanca, Both are great cities. What does Madrid mean to you? The place where I’d like to finish my days. A piece of advice for visitors: Let it happen!